Join over 400,000 people from 2,200 churches in 55 countries singing. 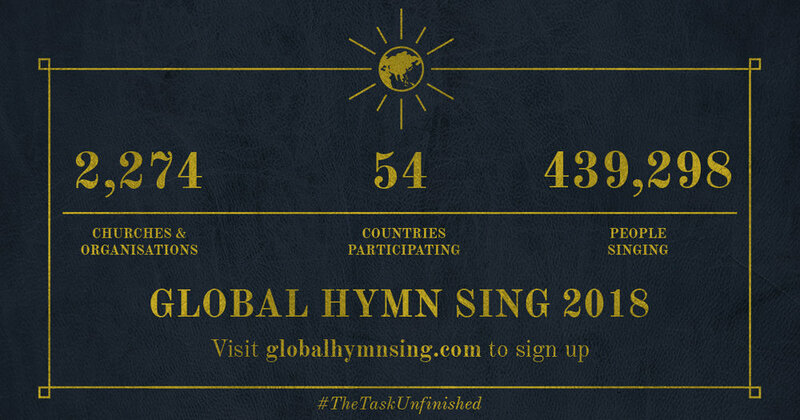 So far, 439,298 people from 2,274 churches in 55 countries have signed up to join the Global Hymn Sing. Join with hundreds of thousands of people in thousands of churches all over the world as we sing "Jesus Shall Reign" as an act of unity in God's Mission. We pray that you will be spurred on to witness to Christ where you are and to partner in what God is doing around the world.